Wedding Speeches: Who Gives Them? | Wedding Ideas ARE YOU A VENDOR? After your friends and family members find their seats at the reception, it’s time for the wedding speeches to commence. A few of your VIP guests will snag the mic from the emcee to share a few words about you, the happy couple. Note that these are the traditional options, and you are more than welcome to add more or less to your lineup. Just remember, it’s easy to go overboard. 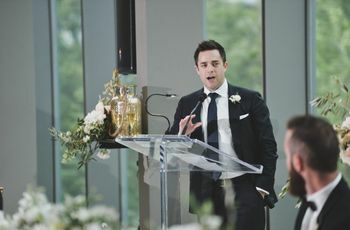 If you feel like there are just too many, ask a couple of them to give their wedding speeches at the rehearsal dinner, instead (that way they can still have their moment in the spotlight). Here’s who is supposed to give a speech at a wedding. 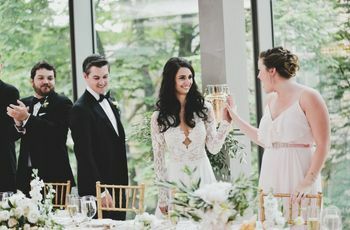 Parents typically have hosting roles in the wedding, so it’s only natural that they kick off the reception with a few words of welcome. Note that they probably have thousands of amazing things to say about you, the main sources of their pride and joy, but that should be saved for a more intimate moment. 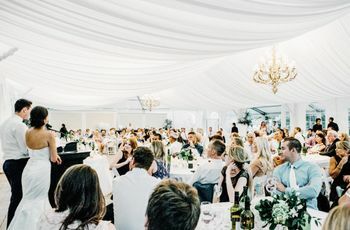 If they’re jonesing to give a longer, more sentimental wedding speech, ask if they wouldn’t mind doing it at a pre-wedding event, like the rehearsal dinner. Alternatively (or in addition to) there could be a father of the bride speech. The most well-known toast at a wedding is probably the best man speech. That’s right, this stand-up guy is in charge of more than just throwing a kickass bachelor party and making sure his friend’s tie is on straight before he finds his spot at the altar. When the reception rolls around, the groom’s right-hand man will sing the newlyweds’ praises and raise a glass to their future together. Yes, we’ve all seen this go awry in movies, but let’s learn from those mistakes and try to keep things PG-rated and slur-free. 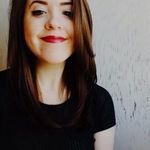 There’s a good chance that the bride’s bestie has played a key role in making sure your wedding goes off without a hitch, taking on odd jobs like favour wrapping, invitation addressing and keeping the bride out of bridezilla territory (so, she’s definitely earned her moment in the spotlight). The maid of honor speech will be similar in structure to the best man’s. She’ll share a few heartwarming stories and then give her congratulations to the happy couple. Like all wedding speeches, keeping it short and sweet is the name of the game. 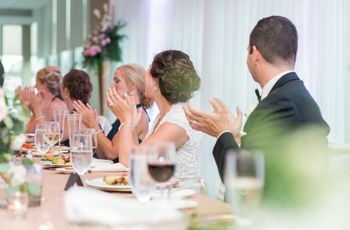 A wedding thank you speech by the newlyweds doesn’t happen at every wedding, so don’t feel pressure to do one at your own. However, it’s nice to give shout outs to all the people who contributed to making your big day a success. 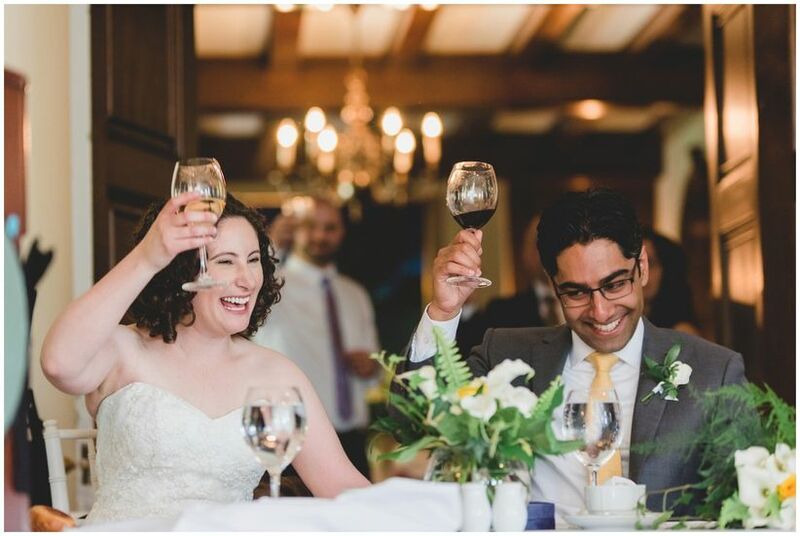 Whether you want to dedicate your entire toast to your parents or go around giving props to each and every member of your wedding party is up to you. Just remember, there’s plenty of time in the evening to give your loved ones that extra high five, hug or handshake, so don’t make it too long.